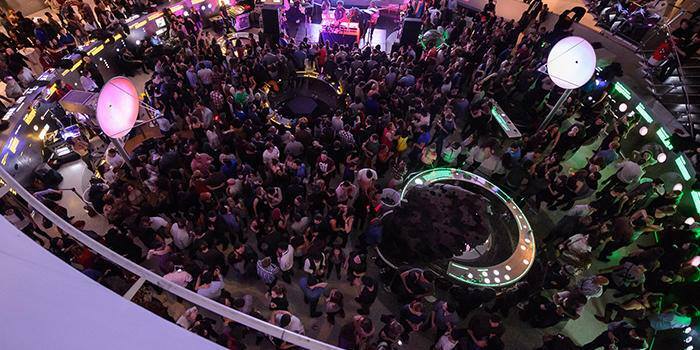 The American Museum of Natural History continues the ninth season of One Step Beyond with DJ sets by Mobile Mondays! Arthur Baker brings an all-45 set with Joey Carvello and DJ Misbehaviour, taking partygoers on a classic New York City journey with disco, electro, freestyle, hip hop, and ‘80s dance. The event will take place in the Dorothy and Lewis B. Cullman Hall of the Universe on Friday, May 6. Beer and wine will be served at a cash bar. This event will sell out quickly, advance purchase of tickets is recommended to guarantee entry. Mobile Mondays! is New York City’s all-45s vinyl-night, it takes place every Monday at The Bowery Electric. Its mission is to keep real music alive, preserve DJ culture, and celebrate the great eras of NYC nightlife. Arthur Baker launched his career as a disco DJ spinning 45s, pre-remixes, and 12-inch disks. After making a few attempts at disco with tracks including North End’s “Tees Happy” and “Kind of Life” and the TJM album, he set his sights on NYC underground rap music and helped create the future electro with Afrika Bambaataa & the Soul Sonic Force, with “Planet Rock,” “Looking for the Perfect Beat,” and “Renegades of Funk.” Baker launched Streetwise Records and has also worked with New Order, Freeez, and John Rocca. He produced the soundtrack for “Beat Street,” and has remixed songs for David Bowie, the Rolling Stones, Bruce Springsteen, Paul McCartney, Fleetwood Mac, Hall & Oates, Cyndi Lauper, and Bob Dylan. Baker, now based in Miami, has also launched the BAKED Recordings label. Under the name of Slam Dunk’d, he has recorded the track “No Price,” with Chromeo and Al-P from MSTRKRFT coming thru Baked/Columbia Records this summer. Joey Carvello is a first generation disco DJ from Boston. He won the ”Billboard Magazine Disco Deejay Of The Year“/Boston Award in 1978. In 1979 he joined Warner Brothers/RFC Records as the East Coast Director of Dance Music Promotion. While at WB/RFC, he promoted Change, Gino Soccio, Prince and many others. In 1989 he moved to New York City, joining Atlantic Records as Senior Director of Dance Music. At Atlantic, he signed or promoted Robin S., Little Louie, Marc Anthony, Bingoboys, En Vogue, Kristine W. and Jellybean. He coordinated the deal that brought Big Beat Records to Atlantic in 1991. Carvello has also held senior executive positions at Priority Records (Snoop Dogg, Ice Cube, and others) and was Senior Vice President of Promotion at TVT Records (2001–2005 ) where he coordinated radio promotion campaigns for Pitbull, Lil Jon & The Eastside Boyz, Ying Yang Twins, and Naughty By Nature. Carvello joined Mobile Mondays! in 2011. 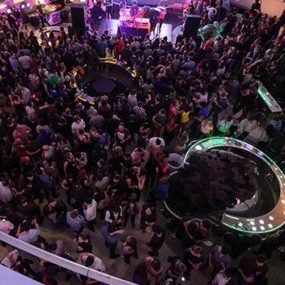 He has played at Output, Verboten, #8, Summerstage, Lincoln Center, Tommy Boy Parties, Museum of the City of New York, and Afropunk. Misbehaviour’s career began in 1989 in London, where she made her mark at two MOBO Award-winning club nights at Hanover Grand and Sub Terrania. Moving to New York in 1999, she promoted her night, “Bubble and Squeak,” at APT. Misbehaviour has been DJ-ing for the world-famous Central Park Dance Skaters for 16 years and is a Mobile Mondays! resident. She has played with artists such as Prince, DJ Spinna, Jazzie B, Idris Elba, Pete Rock, Spinderella, Downbeat The Ruler, and Tony Touch. A passionate collector, Misbehaviour remembers buying her first 45 at the age of nine. Her eclectic ear for music and her longevity in the game allow her to satisfy many different audiences.